vCards are electronic business cards that provide a faster and easier way to transfer your contact details to another person. A vCard contains information such as your name, address, phone number, email, website URL, and details about the company you are affiliated with. Many vCards also offer an extensive array of graphics, photos, and logos that you can use to personalize your data. All you have to do in order to transfer your contact information to another person is simply send him your vCard and the simplest way to do that is through a QR Code. 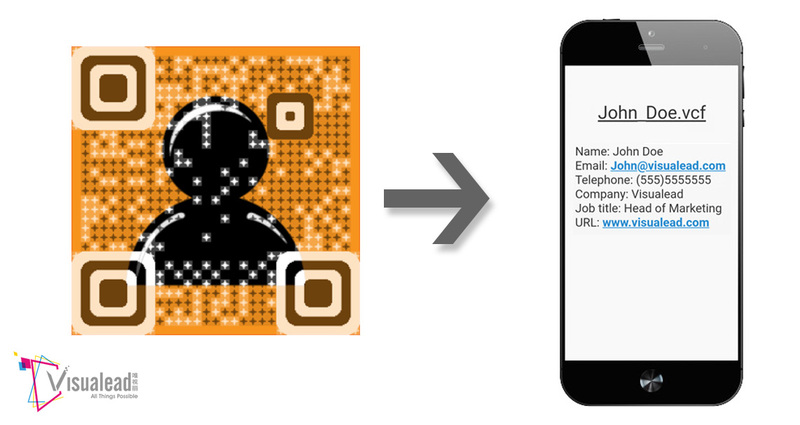 To create your vCard QR code, simply fill out your Name, Email, Phone Number, Company, Job Title, Website, and Address. Once the QR code is scanned, the vCard is also automatically saved in the device used to scan the code. 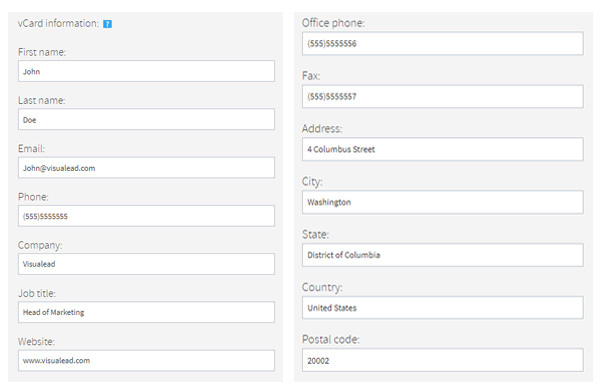 This creates a contact in their address book with your contact details.